EATONTON, Ga. - An elderly man found dead in his home earlier this week was beheaded, officials in a small central Georgia town said as authorities on Thursday sought help from the FBI in searching for his wife, whom they fear was abducted. Friends found the body of 88-year-old Russell Dermond on Tuesday in the garage of the couple's home on the shore of Lake Oconee, Putnam County Sheriff Howard Sills said in a statement. 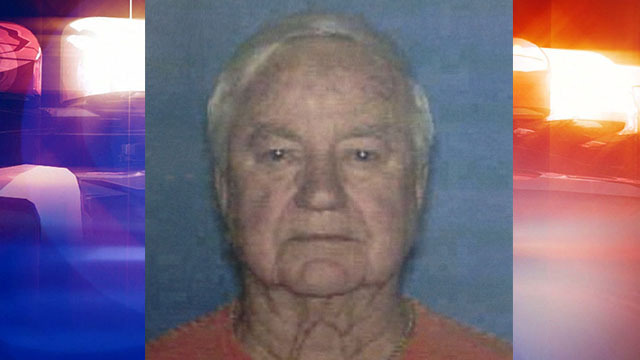 His wife, 87-year-old Shirley Dermond, was nowhere to be found, officials said. The man had been decapitated, county coroner Gary McElhenney told WMAZ-TV. Authorities said they believe the attack happened sometime between Friday and Sunday. WSB-TV reports a law enforcement source said Russell Dermond's head was not located at the crime scene. Sheriff Sills said he doesn't believe the attack was random, partly because there was no evidence of forced entry or a struggle. Sills said Shirley Dermond's wallet, cellphone, purse and car were all left behind, making it difficult to track her whereabouts. "There is nothing out of place. Everything is immaculate," Sills told The Telegraph newspaper of Macon. "This is the cleanest house I've ever been in." The community is guarded by a gate and security officers, and Sills said authorities are investigating whether the attacker may have approached the couple's home by boat. "This is a huge lake, it spans four counties and entry could've been made by the lake," Sills said. Surveillance cameras in the community were not working, Sills told The Telegraph. Crews have searched part of the lake with sonar devices but haven't found anything, the sheriff said. "This absolutely makes no sense at all," the couple's son, Bradley Dermond, told WMAZ. "We're still hoping that our mother is OK."
Shirley Dermond is described as 5 feet 2 inches tall and 148 pounds. She has gray hair and blue eyes. She is not considered a suspect in her husband's death, Sills said. "We still approach this as if she's been abducted and we pray that she is alive, but we don't know anything about where Ms. Dermond is," Sills said. The FBI is providing assistance to Putnam County authorities, FBI Special Agent Steve Emmett told The Associated Press on Thursday morning. Emmett said further questions should be directed to local law enforcement officials. An autopsy on Russell Dermond's body was being done Thursday at the Georgia Bureau of Investigation's headquarters, GBI spokeswoman Sherry Lang told the AP. Acquaintances of the Dermonds told WSB-TV the Dermonds were good people who moved to the area about 12 years ago after retiring. The couple had reportedly owned a chain of fast food restaurants. "This is a real who-dun-it. I haven't had one in a good number of years," Sheriff Sills told CBS Atlanta.